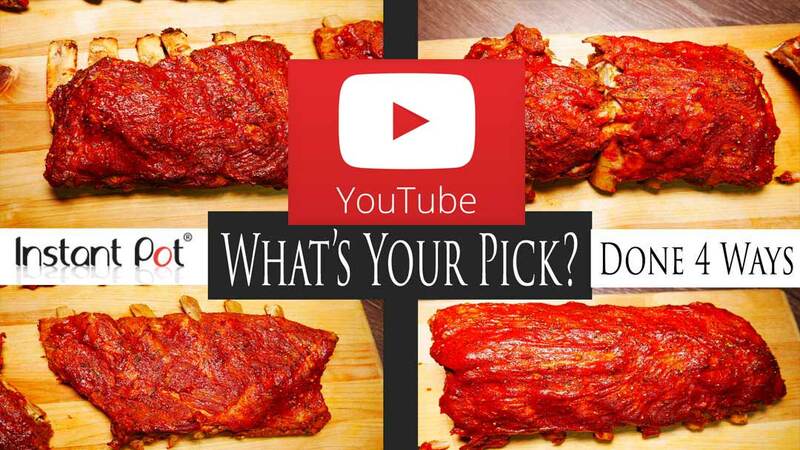 Our first Instant Pot Ribs video on youtube, “Fall Off The Bone Instant Pot Ribs” video did pretty well, we are number three on youtube for the search term “Instant Pot Ribs”. 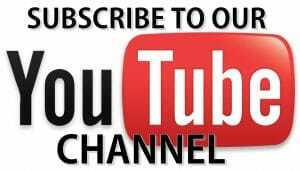 The video received a ton of comments, hundreds of comments and a lot of them were people stating to take off the membrane. Wow do I agree with them, or do I? When it comes to proper BBQ technique taking the rib membrane off is a sign you know what you’re doing. When using the Instant Pot and pressure cooking the rules can change. I say “Can” because the Instant Pot doesn’t just make the membrane an ok thing to keep on. Matter of fact I’m going to show you how to use the Instant Pot with the membrane OFF and how to use it with the membrane ON. And both are perfection. Seriously, watch and learn something. I’ll remind you I’m a Chef and would never serve anyone something less than delicious. I think you’ll like what happens in the video. 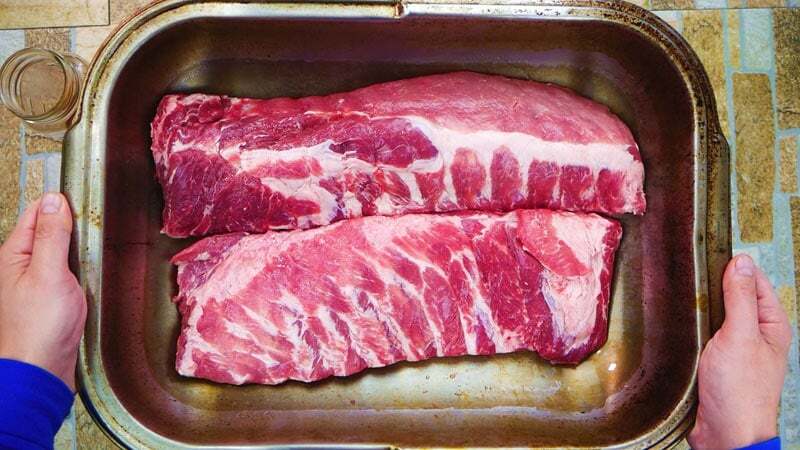 It literally covers the ways to cook Instant Pot ribs a number of ways without the ribs just falling apart. Since this is the ultimate Instant Pot Rib test we will be using both Baby Back Ribs & Spare Ribs. We need to inspect the racks of Ribs first looking for any pieces of meat that need to be cut off and removed. The Baby Back Rib meat comes from the spine region of the pig and the Spare Rib is the extension of the Baby Back Rib down the rib cage. 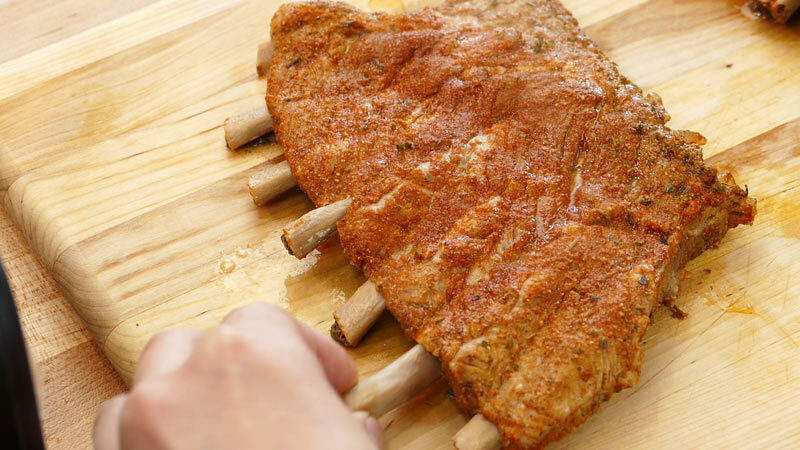 Preparing the Spare Ribs takes a little extra effort sometimes. 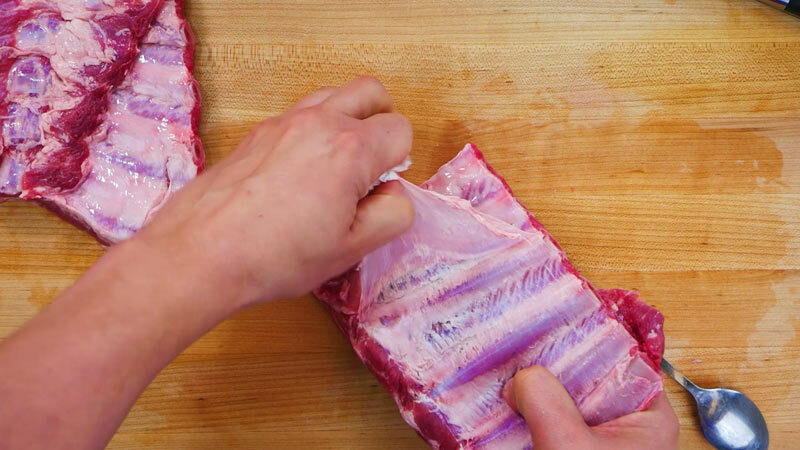 You will find Spare Ribs packaged two ways. First is the full rack and has something called the shelf attached. Second is the clean-cut rack of ribs called St Louis cut. 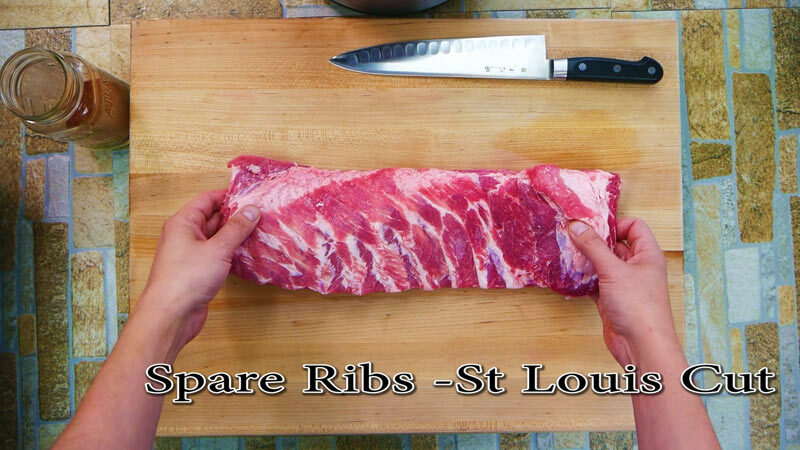 If you get the full Spare Rib package you can cut off the shelf pretty easily and shape up the ribs. I like using the back of a spoon. 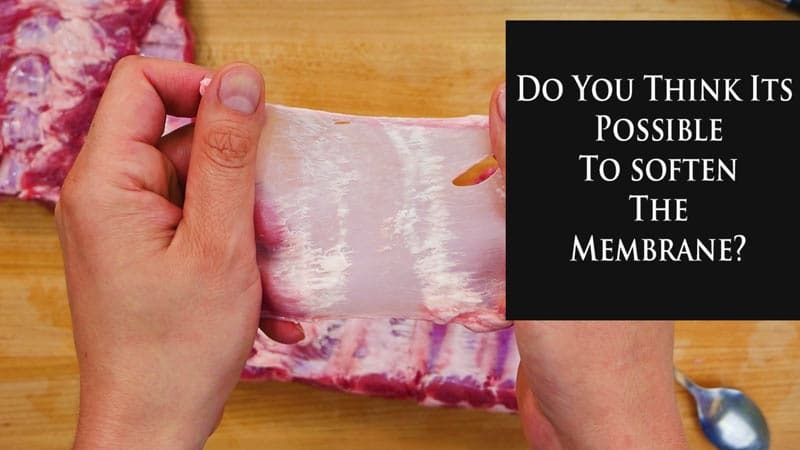 Try to wedge it in between the bone and the meat until it begins to come off. 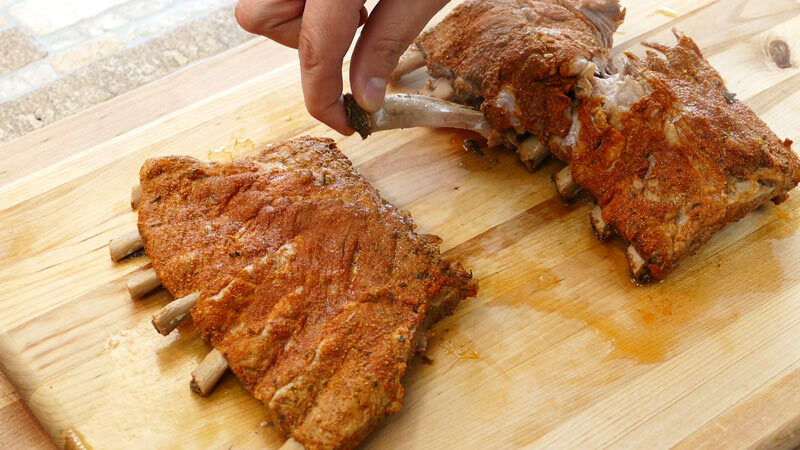 Then use a paper towel to grip the membrane and softly pull back on the membrane moving up the rack of Ribs. Usually, if you have patience it will come off all in one piece. Do you think the membrane can be softened in the instant pot? I can see hundreds of opinions on this topic. It’s actually the reason I did this post to begin with. I have a video on YouTube called Fall off the bone baby back ribs in the Instant Pot. 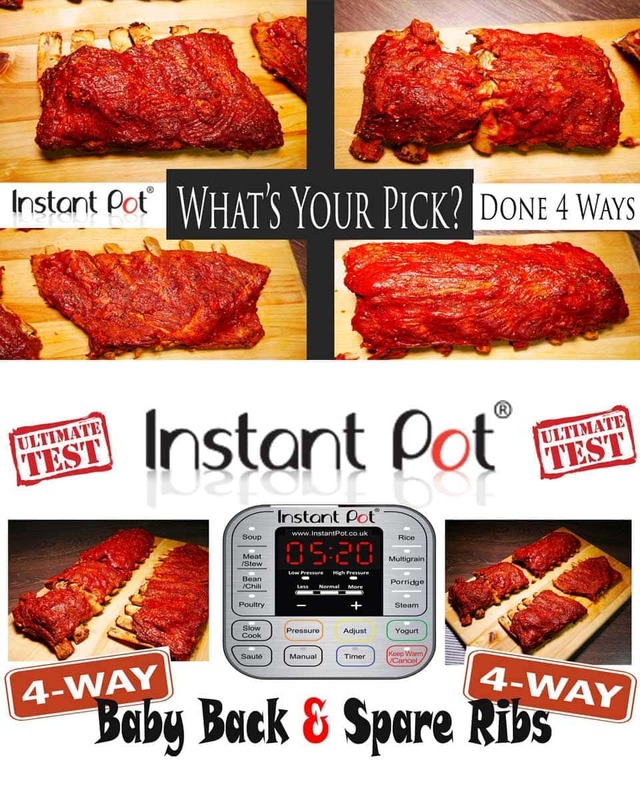 It’s in position 1 to 3 depending on your location, search word Instant Pot Ribs. So it is popular. I received a ton of comments about removing the membrane. And I’m of like mind with them. We remove the membrane, or do we? I will tell you with a 1,000,000 % confidence I have a way to cook them with it on and you will not be able to tell. Plus the Ribs will not just fall apart in the Instant Pot. Which can happen. Here’s why there’s confusion about this. You’re not a professional cook when comes to cooking under “Pressure”. Nobody knows about pressure cooking and what can happen while cooking under pressure. Its news to us all, including myself. I can tell you I’ve learned and had fun while learning about pressure cooking. It why this post is here, to help you understand. Hint: Cooking Instant Pot Ribs in the Instant Pot the normal way. Low water and low cook times. The membrane will still be noticeable and gross you could say. You’ve been cooking Ribs in the Instant Pot The Wrong Way All Along. No matter which why you choose to make your Instant Pot Ribs they will need a sauce and seasoning. I suggest seasoning the ribs the day before or at least a few hours beforehand. 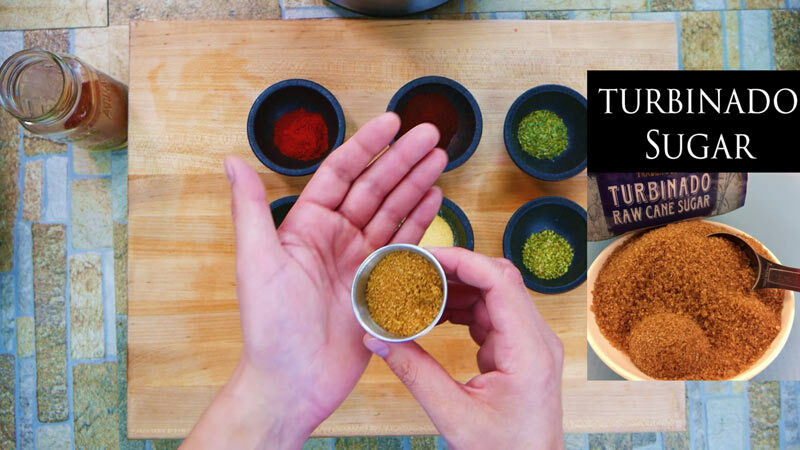 Below is instant access to Chef’s Dry Rub Recipe – If you would like a simple Dry Rub recipe I supply one on our YouTube video. In the comments section. 1 Cup Ketchup Hunts Brand – No High Fructose Corn Syrup Helpful with controlling the sweet level yourself. – Wasabi Sauce – Wasabi is not HOT but is spicy it’s strongly floral and fragrant like horseradish. 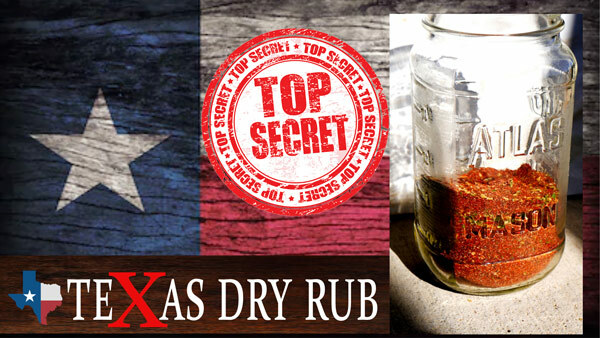 What makes it a secret flavor weapon. The heat side of the Wasabi is up front then quickly calms down. Not like spicy peppers that have capsaicin, which is an oil. Once the oil from a pepper touches your tongue that spiciness isn’t going away quickly like Wasabi does. 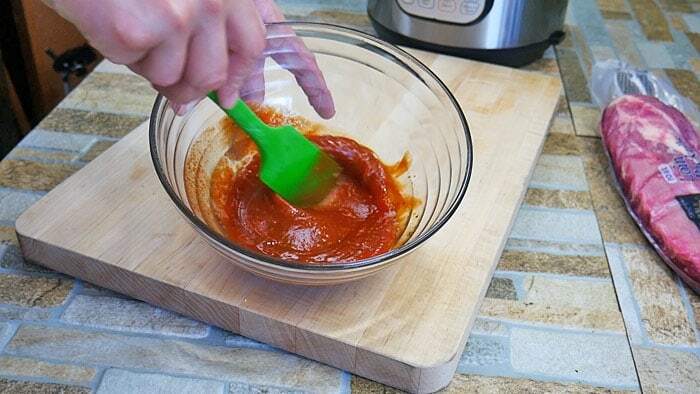 Mix Ingredient together starting with adding the tomato ketchup first then all other ingredients there afterward.